Ahead of TakeOver: New Orleans, WWE has unveiled the title belt for the NXT North American Championship. 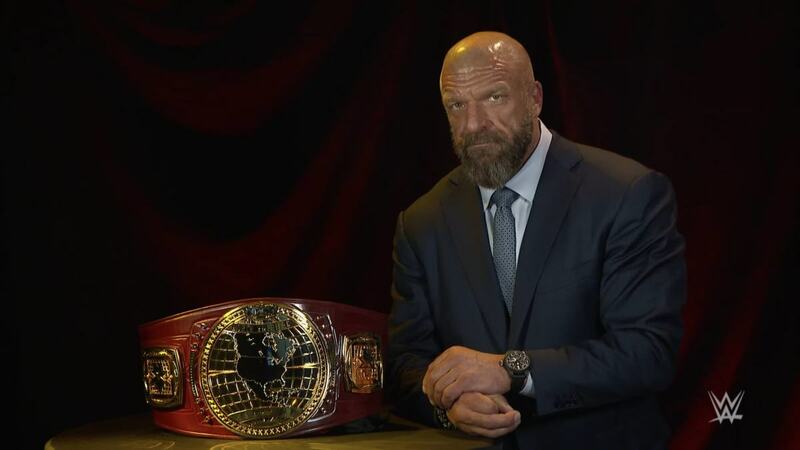 Triple H debuted the title in a video that WWE put out today, with it featuring a red strap, a gold center plate with the countries of North America, and gold side plates with the NXT logo. The inaugural NXT North American Champion will be decided in a ladder match at TakeOver: New Orleans on Saturday night. Ricochet, EC3, Adam Cole, Velveteen Dream, Killian Dain, and Lars Sullivan will be the six wrestlers vying for the title. Whoever becomes champion will have their first defense at WrestleMania Axxess the morning after TakeOver. They'll be facing the winner of an invitational tournament that's scheduled for the first three days of Axxess. Though there have been other North American Championships in the past, Triple H said on last week's pre-TakeOver conference call that he doesn't see this title as continuing any of those lineages.